Disney channel had just premiered the movie "Radio Rebel". A movie about a shy girl who has a big secret. That big seceret is: having her own radio show. Will everything prove to be too much for her? Or will she step fully out of her shell? Now this movie does have some very good lessons we should learn, but thanks to popular media, we fail to realize those messages and view this movie as just "Entertainment purposes". I've notice Disney is trying to take the approach that being who you are is perfectly fine. Do what you want! Say what you want! Don't let others kick you down because you feel the need to. People walk all over each other just to make themselves feel above the world. I too was a shy girl at first, especially when I started high school as a freshman. It's a scary experience. New school, and the possibility that you're not with your friends that year at all and if you are there's a chance you end up drifting away. Let's face it, that's life. Radio Rebel, the movie, is basically about doing what you love, and doing what you feel. If you feel like going to an anime convention to cosplay but you're afraid that someone will say something, don't be. Be you. Cosplay! Dress visual kei! Speak your mind. I'm 21 years old and I find Radio Rebel inspiring, and reminding me as to why I love music so much. When I was in high school I would dress up so weird and to be honest, I was a bit over weight but I didn't care. I was being me. Because of the media today and because of these status qou's beauty is being given a definition when in reality, it's just a simple opinion. Someone's beautiful to someone. It's life. I still want to be a music producer. I still want to work with bands and I think that I'm going to major in Audio Production. So there isn't much money in it or I may end up just working at a Radio station but who cares. It makes me happy and I'll be able to live my dream. The world is so consumed in living up to other people's standards that they forgot their own standards. I felt so out numbered by my grandmother and my father telling me "I need to do something" and at one time, my father hated the idea of me studying music. I still think he kind of does but it makes me happy. 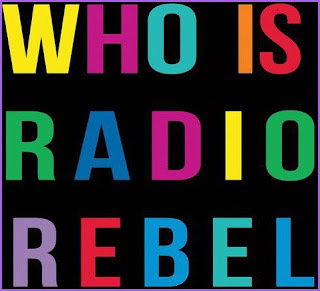 Radio Rebel is a movie teaching us that if we go for our dreams and just be ourselves, nothing, and I mean nothing can hold us back. It takes courage to do what you're passionate about and I for one will do what my heart always tells me to do. Go for music. Even though Radio Rebel isn't a song, it's still something that I can relate to and is about music. Be you and reject the status qou.